With the approach of the election, I hope to interview a candidate for each political group about their platform in the 2016 election. 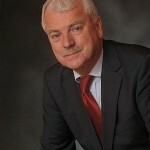 Finian McGrath TD will be running in the election in Dublin Bay North for the Independent Alliance. These are the 10 principles that the Independent Alliance says it will require to give its support to any government.